Lately we've had a couple of good wind storms that have knocked the last few grapefruit off the tree. 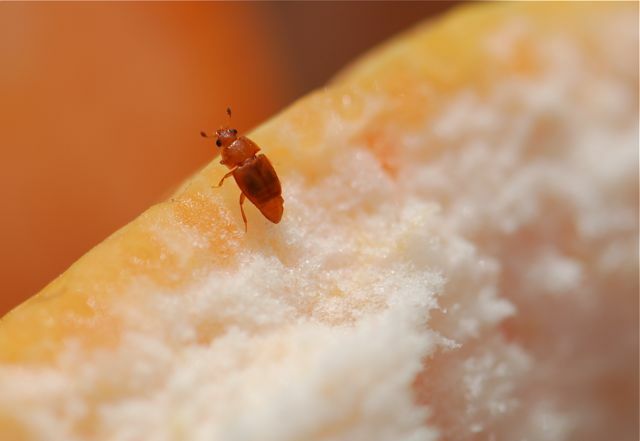 Taking advantage of the damaged and rotting fruit are some tiny beetles. The first thing you notice about these beetles is that they tend to shun the light. As soon as I opened the fruit, the beetles began to run. I got a lot of photographs of the bottoms of beetles disappearing out of view. 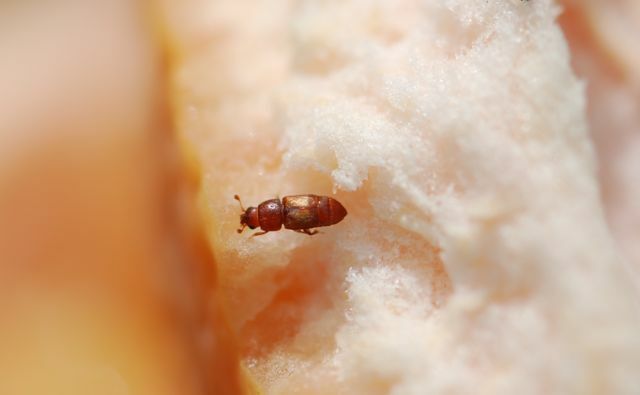 Called sap beetles, or sometimes picnic beetles, they feed inside spoiled, rotting fruit. There goes one now. You might also notice that its hardened top wings, called elytra, are shorter than its abdomen. Also notice the nobs on the ends of the antennae. 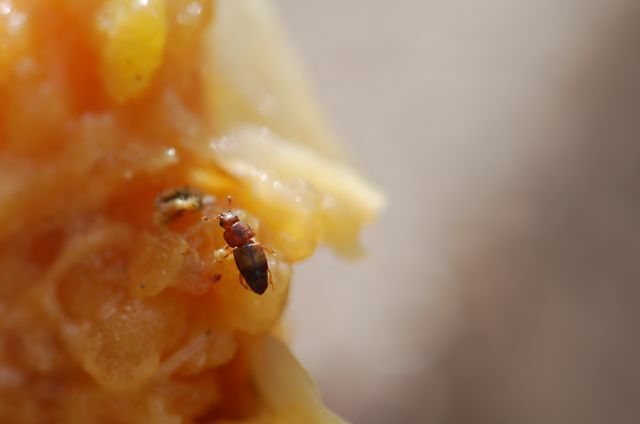 Those are characteristic of Nitidulidae, the sap beetle family. This fruit contained two different kinds. Can you see the similarities between the two different types of beetles? 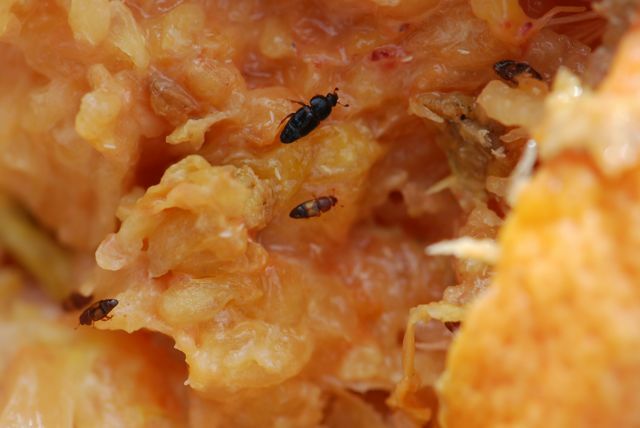 As scavengers, sap beetles are part of nature's clean up crew. 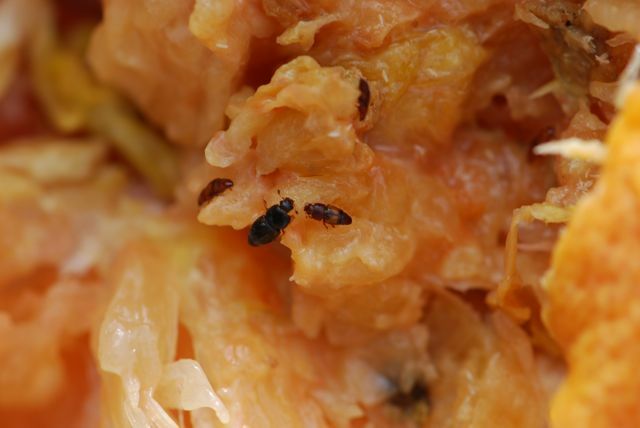 Have you ever seen sap beetles in fruit you have thrown in the compost heap?